Fortunately, he got three months under his belt at the Chop Shop on upper State before moving to Goleta Barbers for more than a year. From there, he landed a position at Mesa Barbers. But still, he remembers struggling to hone his craft. “The learning process seemed like it was taking me a long time,” he said. 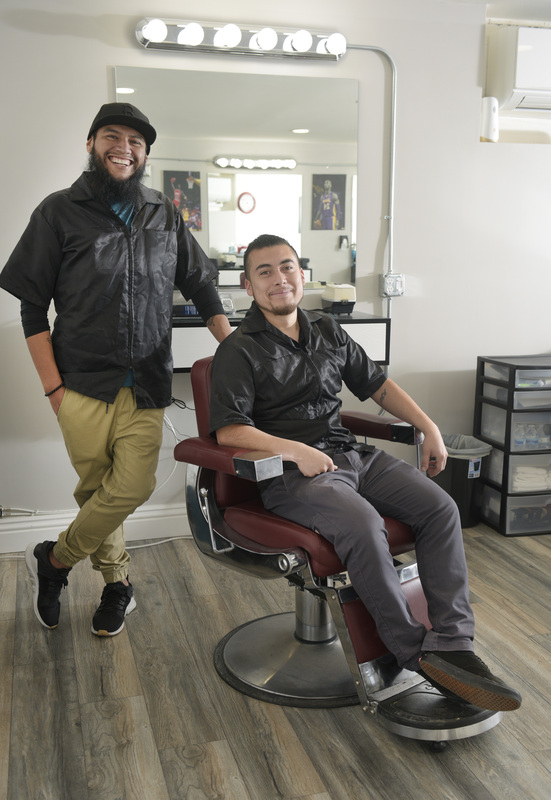 Luckily [at Mesa Barbershop] I had four barbers there who were really experienced and helped me out a lot.” One of those mentors was his good friend Andres “Gordy” Hernandez, whom he’d known since high school. After more than three years on the Mesa, Barajas started thinking about opening his own shop. Hernandez wanted in. “And now I work for the guy!” Hernandez said. “I had been looking for a space since September of 2017,” Barajas remembered. “I wanted to do my own thing, and I did it.” He opened Imperial Barbershop late last year. Luckily, he added, more than 80 percent of his clientele followed him to the new shop — same with Hernandez’s steady customers.